South Australian artist Christian Thompson is the first recipient of one of the most ambitious international artist-in-residence programmes to be staged in New Zealand. From October, in a partnership between Whiti o Rehua – The School of Art at Massey University and Wellington City Council, contemporary international artists will live and work on the Wellington waterfront. Starting with Mr Thompson, a photographic, conceptual and performance artist of Aboriginal descent, resident artists will carry out their art in an impressive new studio at the prow end of Clyde Quay Wharf (the old Overseas Passenger Terminal). Head of the School of Art, Associate Professor Heather Galbraith, says the invitation-only residence, called Te Whare Hēra (the house of the sails) reflects the location’s history of maritime arrivals and departures, and the ‘journey’ inherent in creating new art works. The residency programme is unique in New Zealand for its emphasis on public engagement and is in a highly visible location. Resident artists will lead community-facing events about once every six weeks, enabling Wellingtonians to interact with the artist on a regular basis. Mr Thompson’s body of work fits the residency brief that the artist be contemporary, innovative and engaged. The 36 year-old from Gawler in South Australia, who will be resident in Wellington for two months, is currently completing his doctorate through the Ruskin School of Drawing and Fine Art, Oxford. He came to prominence in Australia in the late 1990s and his work is primarily focused on the exploration of identity, and in his performances and photographic works he inhabits a range a personas achieved through hand-crafted costumes and carefully orchestrated poses and backdrops. He has presented his photographs, videos and performance works in numerous solo and group exhibitions nationally and internationally. His group exhibitions have included Andy and OZ: Parallel Visions, Andy Warhol Museum USA. Workin Down Under, Wood Street Galleries, USA. Brilliance, Aboriginal Art Museum, Utrecht, The Netherlands. 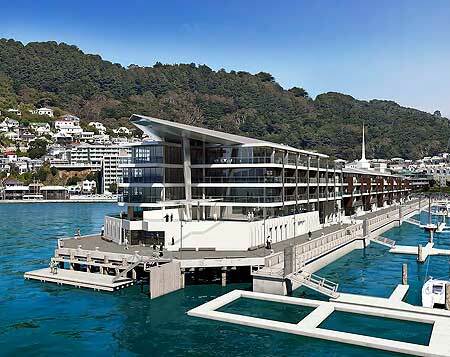 Massey University through a grant from its Strategic Innovation Fund, and Whiti o Rehua resourcing, with Wellington City Council and Wellington Waterfront Ltd, will fund the Wellington residency project in its first year. Wellington Waterfront Ltd chief executive Ian Pike says such a “high calibre” international residency will reinforce the capital’s position as a visual arts leader, fostering greater public recognition and debate of contemporary art. The residency covers artists’ travel and accommodation, an honorarium and a materials stipend. Artists will receive technical and logistical support, and access to facilities from Whiti o Rehua, along with facilitation of public events and exhibition of their work. For more information about the artist-in-residence programme click here.